Who are we? We’re here for you! 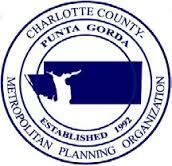 Welcome to the Charlotte County-Punta Gorda Metropolitan Planning Organization (MPO). The MPO is YOUR link to state and federal transportation decision-making. We translate local priorities in Charlotte County, Florida into state and federal transportation project funding. The MPO Board is represented by five elected officials, including three County Commissioners, a City Council member, and an Airport Authority Commissioner. The Florida Department of Transportation Secretary, District One is Advisory member (non-voting) on the Board. The MPO Board’s policies are implemented by the MPO staff who conduct citizens participation events and analyses technical transportation issues. Charlotte County-Punta Gorda MPO is one of 25 MPOs in Florida and one of about 340 in the nation. MPOs are required by federal and state law in areas with a population of 50,000 or more.